-- 50 ml 30 ml | 1 oz. 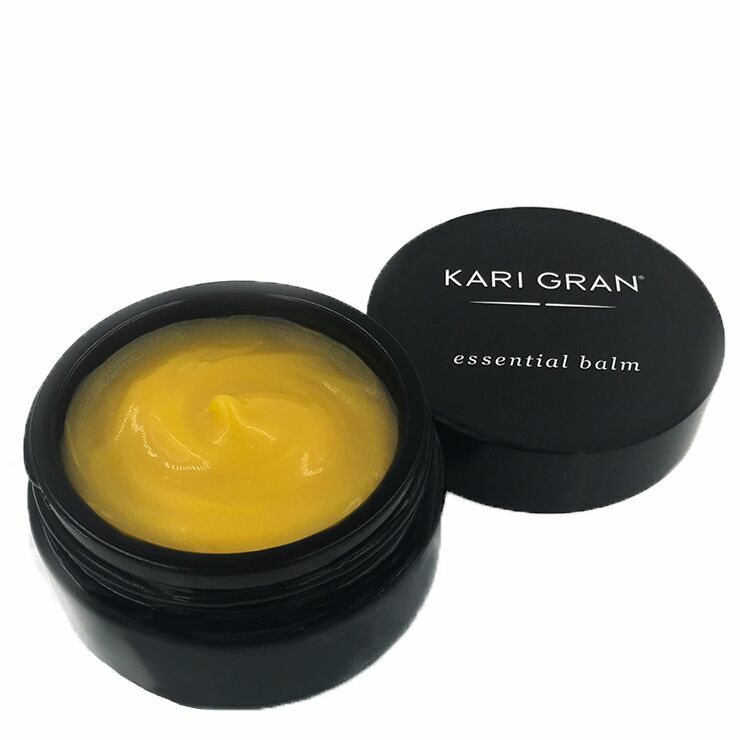 Kari Gran’s Essential Balm keeps things simple by doing ‘more with less’. Part face balm, part eye cream, part primer, the ingredient list on this do-everything formula reads like a “Who’s Who” in Superpower Ingredients, featuring organic green tea seed, avocado, rosehip, calendula and jasmine. Unlike a traditional melt-and-pour balm, this daily essential has a butter-cream texture and loads of slip, meaning a little goes a long way. Blend with your mineral makeup for daytime dewiness, or layer a serum over the balm in the evening to seal in moisture. A true multi-tasker, Essential Balm melts into any routine. My skin went through a very, very dry stage and it seemed that nothing would plump up my skin. I happened to have the Kari Gran Essential Balm from a prior BH order and it seemed like it would be rich enough. So, I incorporated it into my evening routine as the last step. Wow. What a lovely scent. Plus, just a little bit of balm warmed up on my fingers and pressed into my skin really gives me the moisture I need. Now I use this as a weekly plumper on the days when I need it.